I have interviews with Dave Morris and Jamie Thomson today. 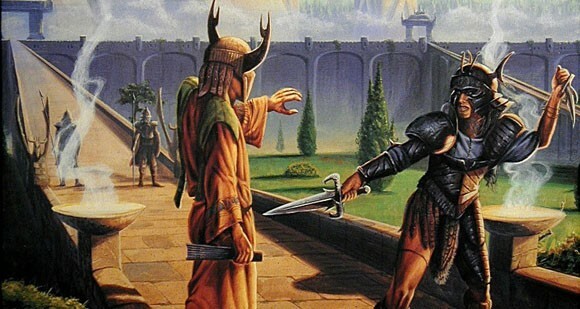 For those of you who know gamebooks, what more needs to be said? For those of you who don't know gamebooks, here is the gist. As well as working together to produce an amazing interlinked series of sandbox style gamebooks (the Fabled Lands series) Dave Morris and Jamie Thomson have, between them produced a huge number of high quality gamebooks. 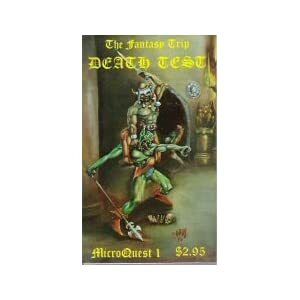 You have to see Dave's and Jamie's bibliographies to believe just how many great gamebooks using different systems and settings that they have produced. 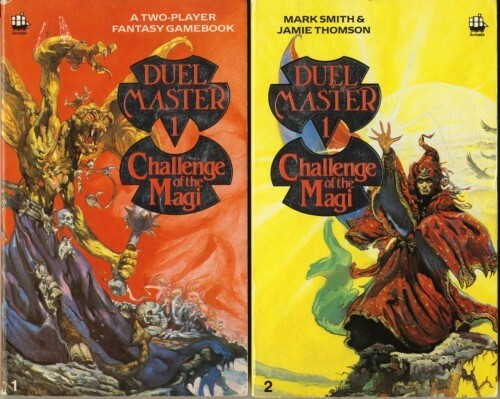 Some well known highlights include Fabled Lands, The Way of the Tiger, Blood Sword and Duelmaster. If you are new to gamebooks and still unsure as to the extent of the impact that Dave and Jamie have had on gamebooks, think about just how many wonderful Discworld novels Terry Pratchett has produced. They're like that and they're still going. Dave: A story in which you get to make choices that significantly affect either the plot or (more rarely) your relationship with and understanding of the characters. Dave: People want a connection with the works they love. That's why fan sites for great TV shows are full of background on the characters and world, not just interviews with actors. In a gamebook, you get to immerse yourself in the story in a way that is much harder to pull off in traditional fiction - though the great works always achieve this. Dave: Often based on our role-playing games. We've been playing two or more times a month for more than 25 years! Dave: Again, often based on the rules we devise for our own role-playing. 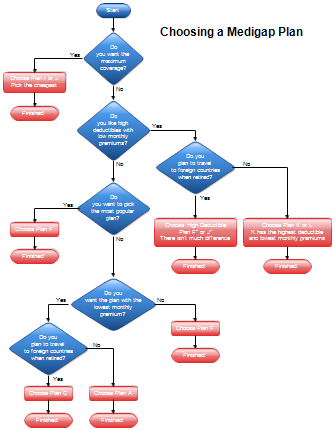 Jamie: Flowchart the whole thing. Dave: Flowcharting is essential. That's like the "screenplay" stage and the actual writing is just the "shooting" in movie terms. Jamie: More Interactive fiction of the classics like Frankenstein. Dave: We're also talking to Tin Man Games about doing a series of solo gamebooks based in the Fabled Lands world. We have the FL series coming out on Android and Kindle with a publisher called Spirit Entertainment. And we're going to team up with Inkle, who devised the technology behind Frankenstein, to do some new gamebooks and reissues, starting with Down Among the Dead Men on iOS. Do you have any other sites besides your blogs/Twitter feeds(here and here)? Also, check out Frankenstein their latest release in interactive fiction.